It’s been a bit of a banner wine week, seven days tailored to the precise preferences of my palate. My personal favourite types of red and white wine are Washington Syrah and German Riesling respectively, and late May has seen visionary producers specializing in each of these areas visit our fair city. My Washington wine prayers were answered last week when Greg Harrington of Gramercy Cellars put on a remarkable Master Class in Calgary; this week it was Germany’s turn, thanks to an eye-opening portfolio tasting put on by the dynamic Christoph Thörle of the eponymous Weingut Thörle, from the global home of Riesling’s Rheinhessen region. Through four different earth-shattering Rieslings and seven total wines, Thörle took us through what must be some of the world’s best expressions of my first vinous love. If you say the word “Rheinhessen” to a wine person, the tenor of their reaction might be a generational one. The region, located in west-central Germany, due south of Rheingau and southwest of Frankfurt, is the largest in the country in terms of planted acres and is tailor-made for grape-growing: it’s dry, sunny and relatively warm, with limestone-based soils overlaid by a variety of alluvial deposits, as long ago it was largely part of an underwater seabed. Rheinhessen once had a reputation to match its physical advantages, and was long considered one of the pinnacle areas of German viniculture. But a mid-20th-century flirtation with new lab-crossing grape varieties and mass-market, quantity-focused bottlings turned into a 1970s and 80s Liebfraumilch obsession that saw lesser varietals dominate much of the vineyard area and Blue Nun and Black Tower nearly obliterate the world’s prior impressions of German wine. If you stopped paying attention to Rheinhessen then (as many did), you will have missed out on what’s going there now: a quiet quality renaissance, and a return to the right grapes properly planted and tended on the right sites, perhaps not better personified than by Christoph Thörle and his brother Johannes. They took over the operation of the Thörle family winery in 2006, when Christoph was just 22 and Johannes 24. Together they have overseen an expansion of the estate’s vineyard holdings and a corresponding increase in annual production, paired with a return to simple, hands-off viticulture and winemaking practices: no pesticides or herbicides in the vineyards, multiple-pass harvests, all natural yeasts and no additives in the cellar, minimal sulphur at bottling. Weingut Thörle now has 80 acres of vine holdings, remarkably spread over 100+ different vineyard parcels but largely centered around the town of Saulheim in north-central Rheinhessen. The area features a wide array of different slopes, soils and sun exposures, allowing for the production of multiple different varietals, and Saulheim itself is surrounded by Thörle’s three crown-jewel vineyards: Probstey, Schlossberg and Hölle. Redefining the world of German bubbly. What’s this? A wine review? Isn’t this a whisky blog now? OK, I probably deserved that. But Advent only comes around once per year, and since no one yet has taken up the torch of my idea to find 24 good half-bottles and make a Wine Advent Calendar, this is what you get instead. For those wine lovers out there just dying for the calendar to turn to January, this one’s to tide you over. This bottle is another selection from Cellar Direct (cellardirect.ca), the online Canadian Natural Wine Club that allows people from all over the country to have high-quality, artisanal, naturally made wines shipped to their door via an array of tailored subscription packages ranging from $40 to $80 per month depending on your location and the package selected. Since I last wrote about the service back in September, it has revamped its website, introduced an offer of two free bonus bottles for every 24-bottle annual subscription, and added an online shop (which will be operational in January) where Cellar Direct members can order more of their favourite bottles over and above their subscription. It has also gotten rave reviews in BC, where price increases and regulatory chaos have otherwise made reasonably priced access to many good wines a pipe dream. 2. 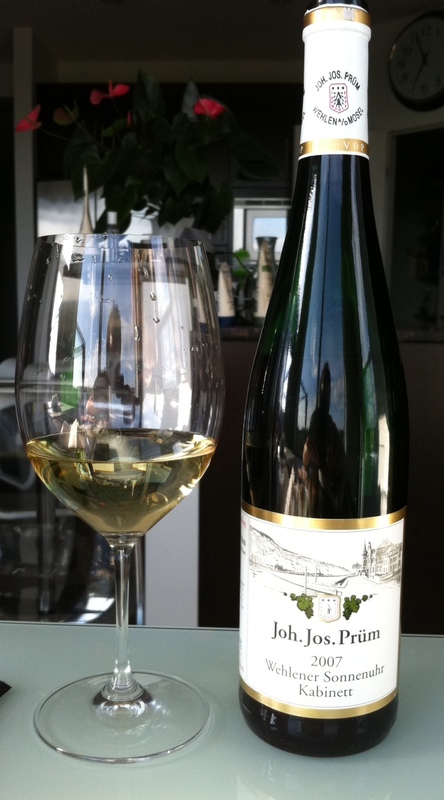 Even sweeter German Riesling isn’t sweet like other wines are sweet. To me, the best expressions of Riesling are those where there is a little residual sugar left in the wine after fermentation, because that hint of sweetness is a necessary counterpart to the firestorm of acidity usually present in good German wines. The delicate razor’s-edge dance between sweet and tart is the very essence of what German Riesling is all about, and to dismiss a key component of that ballet as something akin to what you find in a $6 bottle of insipid white Zinfandel is to do both yourself and these amazing wines a disservice. Most people who say they don’t like “sweet wines” actually don’t like UNBALANCED sweet wines, wines with a bunch of leftover sugar and nothing else to level it out. German Riesling is the antithesis of these kinds of bottles, and the best illustration that not all “sweet” wines are created equal. If you get past the stereotypes and try a bottle of German Riesling for yourself, I predict you will quickly fall in love; to me they are the most individual, remarkable and memorable wines in the world. 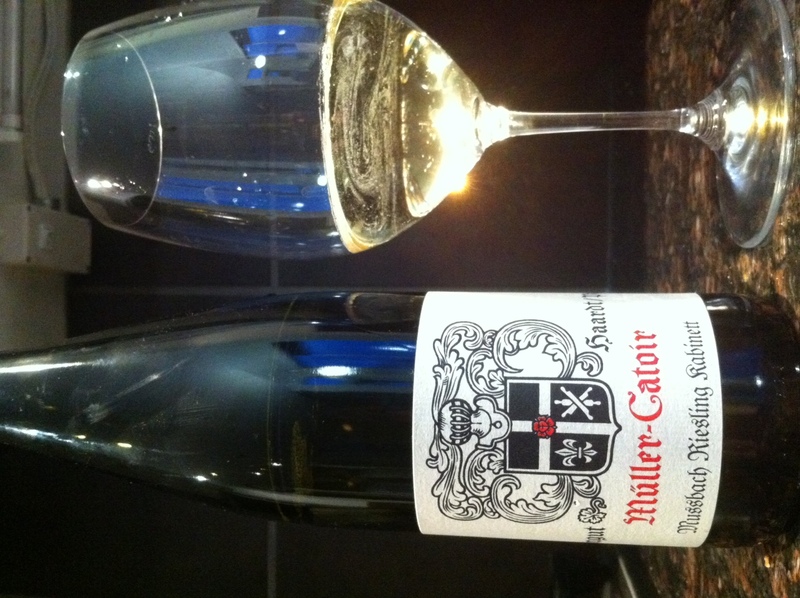 And the best part about joining the German Riesling Revolution is that the wines usually offer remarkable levels of quality for a bargain price. Many top producers make entry-level bottles that are widely available for under $20 CDN, some of the most impressive of which come from the well-known Mosel Valley winery of St. Urbans-Hof, instantly recognizable for its striking black and copper label design (see the bottle pics below). 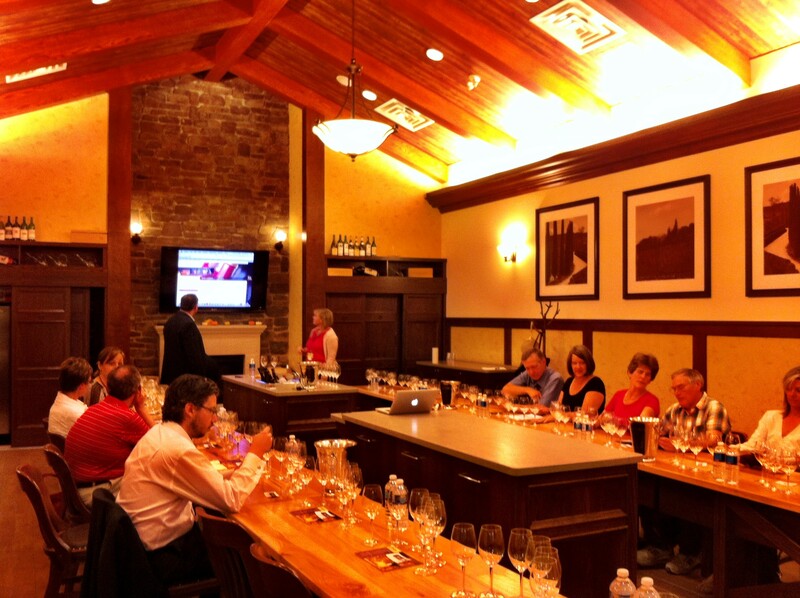 Last Thursday, a lucky few of us attended at the Crowfoot location of Co-op Wine & Spirits to hear Urbans-Hof owner and winemaker Nik Weis talk about his property and share a half-dozen of his recent wines. I will always be attached to this wine. Pure heaven.